Oncologist Dr. Rob Rutledge provides an engaging overview of what people affected by cancer can do to empower themselves at the levels of body, mind and spirit. Drawing from experience on working on the cancer ward, recent brain science, and his personal journey, Rob delivers a lively, experiential and pertinent presentation to anyone affected by cancer. For me, after meditating for more than 36 years, daily meditation practice has become like brushing my teeth. Before I go to bed at night it feels so good to brush and floss getting rid of all the little bits of food stuck between my teeth. Clearing away the fuzzy residue of the day that can build up as plaque. Running my tongue over smooth clean teeth and feeling that freshness in my mouth feels wholesome and rejuvenating and is one of life’s simple pleasures. Meditation feels the same way for my mind, psyche, emotions, and for my whole body/mind system. When I was young and first started meditating on a daily basis I was coming to it with a whole lot of baggage. When I first received the basic instruction: to bring my attention to the breath and body and then to notice the rising of thoughts without judgement and without getting lost in them, I immediately knew that this would be helpful for me. My mind at the time was like a racecar track crowded with many thoughts spinning around at lightning speeds all jockeying for number one position. I had a lot of ambition to do something good in the world but also felt hopelessly inadequate based on my long history of struggling with learning disabilities, hyper-activity and attention deficit. These opposing forces of ambition and inadequacy within me made my intense life energy like a racecar forever spinning its wheels and burning rubber at the pit stop while never engaging all that power out on the road of life. All those racing thoughts and all that un-engaged power manifested as tremendous anxiety, fear of failure and occasional manic creative bursts of wild free expression. I was a poet, actor, dancer and visual artist with delusions of grandeur and basically no way to make a decent living. A relationship seemed impossible as I felt unworthy, too easily misunderstood and afraid of being rejected. I was suffering and I knew it, so I practiced mindfulness in everyday life and formal meditation, as Jon Kabat-Zinn says, “as if my life depended on it” because on some level I knew it did. I meditated for at least 2 hours everyday morning and evening and moved toward weekend retreats meditating most of the day and then week long and many month long retreats. All that meditation was boring and sometimes quite painful. With envy, I sometimes thought other young people are out there having fun and getting on with their lives. I needed to learn patience to walk my own walk, without comparing. I needed to be determined and cultivate mindful discipline if I wanted sanity in my life. Gradually by trusting in the innate clarity and goodness as the essence of my own mind, trusting in the gap between thoughts and not believing my thoughts, my mind slowly began to settle. Deliberately cultivating stillness I worked with my hyper-activity, fear and anxiety at its source. Feeling the urge to move and squirm while holding steady I began to channel my life energy into a meaningful purpose. Deliberately cultivating kindness toward myself I accommodated all of the flow of wild and conflicting emotions. Observing emotions as life energy without needing to suppress them or act them out, the dramas of life subsided. Deliberately cultivating peace I simplified my life. Deliberately generating a strong and consistent intention to stay mindful created space in my mind. That space slowly became like an open sky after a wild storm that allows the sun to shine down on our good receptive earth. Now at nearly 60 years old, although my meditation has evolved and matured, all of those old habits of mind, body and energy that cause distress can slowly build up their momentum again if I am not mindful and vigilant about my practice. Even with relative success in life, a healthy lifestyle and positive life conditions, feelings of inadequacy, discontentment and anxiety can creep up on me. As I age I still brush my teeth after meals to clear away the food that can cause decay. Meditating daily I also feel wholesome fresh and clean, gently releasing mental confusion and cultivating clarity. Doing longer retreats I build up a feeling of genuine confidence and inspiration to be of benefit to others. Meditation helps me to focus my mind on meaningful intentions and to align and organize my life energy to become like a coherent beam of love and compassion as I move into the world of everyday relationships and activities. Timothy Walker Ph.D. is a mindfulness teacher and psychotherapist living in Halifax Nova Scotia with over 30 years experience integrating mindfulness into counselling, education and healthcare. 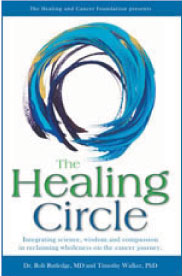 He is co-author of the The Healing Circle: integrating science, wisdom and compassion in reclaiming wholeness on the cancer journey and co-founded with Dr Rob Rutledge the Healing and Cancer Foundation. He designed and has taught with Dr. Rutledge the Skills for Healing Weekend Retreats for people living with cancer and their family members 42 times since 1999 in 20 cities across North America touching the lives of more than 1600 people. He has taught at Dalhousie University, Acadia University, and Mount St. Vincent University as well as hundreds of workshops, seminars and retreats Internationally. In his private practice, The Healing Circle, Timothy sees individuals, couples and families and welcomes distant consultations.